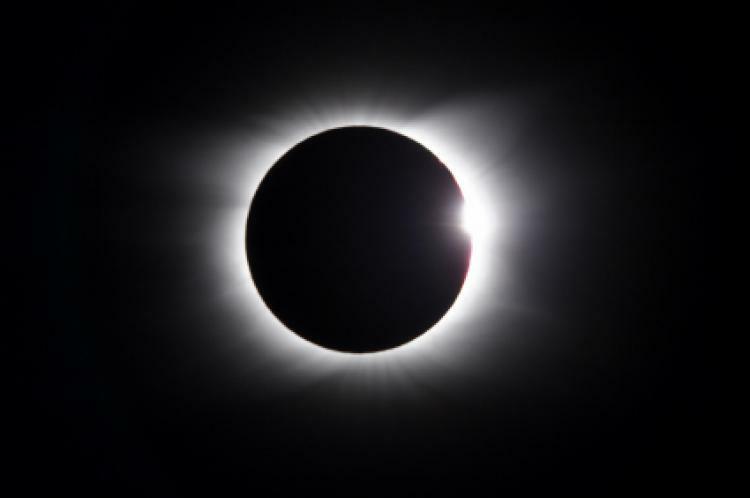 For those who are not aware, on Friday, March 20, 2015, a total solar eclipse occurred between 5:45 am (EDT) and 7:50 am (EDT). I was extremely lucky to watch this live celestial event on the Slooh Community Observatory network as it happened. They had a live feed from the Faroe Islands but due to the clouds playing their game of hide and seek, the visibility was not apparent. However, using their partner networks and courtesy of NRK news, Slooh was able to broadcast an entire 3 hour event from Svalbard. It was the most moving, emotional and wonderful experience of my life. So if you need some help practicing silence, here I share with you an approximate five minute experience of what happens in the galaxy. You cannot help but be affected by this. The music is not there for a reason and I hope that they don’t add it in the editing process. You will see the beauty and enjoy the silence of the galaxy as it goes through a transitional period. So please take a look at the Total Solar Eclipse in Svalabard 2015. The small bead like structures that you see during totality in red and purple are called Bailey’s Beads. After the moon starts moving away, there is a Diamond Ring Effect. Ladies, hide your engagement and wedding rings, because this celestial event will put all diamonds on earth to shame! Try practicing your five minutes while watching the Total Eclipse of 2015 on the Spring Equinox!